Sugarplum Dancewear was set up to provide the highest quality of dance products with exemplary service, at highly competitive prices. We stock famous brands and also manufacture our own designs in the UK. Your feedback is invaluable to us so we can continue to improve our products and our service. If you have any comments or suggestions, please email us at: info@sugarplumdancewear.co.uk or write to us at Sugarplum Dancewear, PO Box 62775, London, SW12 2AQ. Please place your order online. If you have an enquiry, please email us at info@sugarplumdancewear.co.uk. In most instances, orders are despatched by the next working day, but may take longer at peak times during September and the start of each term. I am unsure which sizes to order, what would you advise? Please check the sizing information for each product and bear in mind that many dance shoes and clothing items are manufactured on the small size. 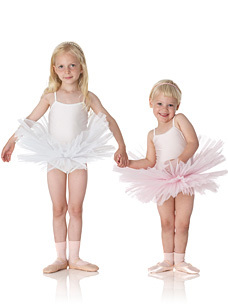 For example, most children will require a full size larger in ballet shoes than their regular outdoor shoe size. Like many online retailers, in order to maintain our competitive prices, we do not have a call centre. If for any reason you are unable to place your order online, please email us with your order details (item, colour and size) with your delivery address and we will contact you to arrange payment. For security reasons, please do not email your card details. Please note, if your order is urgent the quickest way to order is online. In order to keep our prices competitive, Sugarplum Dancewear only retails online. We do not hold stock at our administrative office. Orders are despatched from our warehouse, which is unable to accept personal callers. My order is urgent – can you deliver same-day? Out of fairness, we process all orders in the sequence they are received. As you might imagine, at peak times, particularly the start of each term, most orders are urgent and we try our hardest to process every order as quickly as possible. All orders are despatched by Royal Mail First Class post. We do not currently offer a same-day delivery service. We aim to respond to all emails received within 24 hours, Monday – Friday.